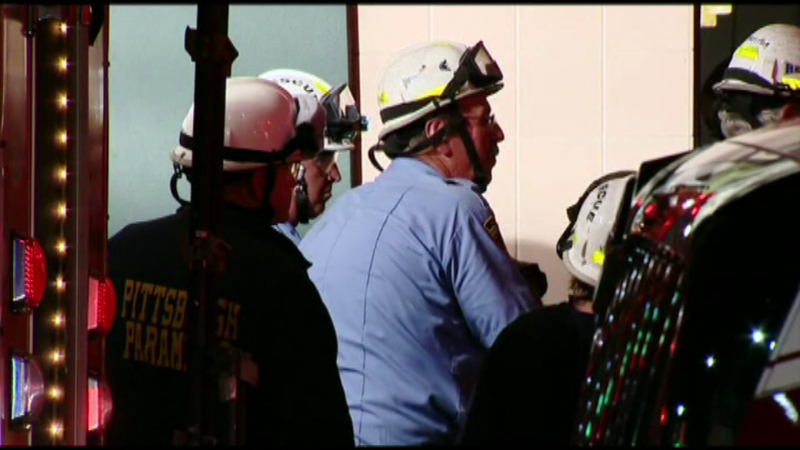 Crews work to rescue a man stuck between buildings in Pittsburgh, Pa.
PITTSBURGH (WPVI) -- A University of Pittsburgh student trying to impress a woman by leaping from one rooftop to another instead fell into a narrow gap between the buildings near campus and had to be rescued, police said Tuesday. 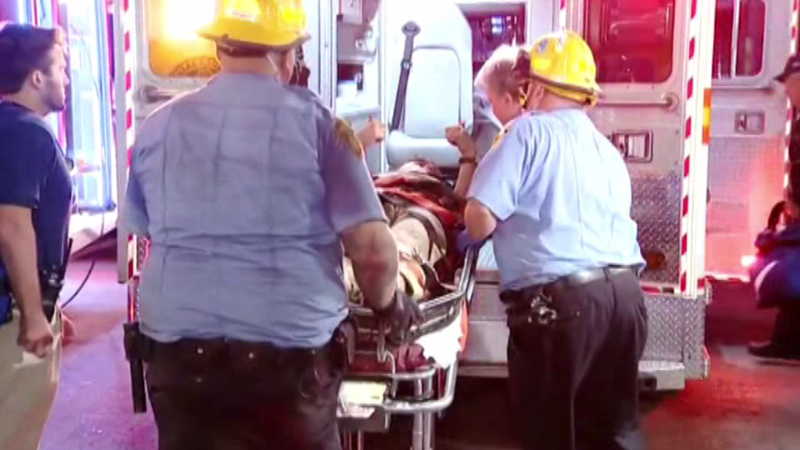 The student, a 22-year-old from nearby Indiana Township, fell awkwardly between buildings in the city's Oakland neighborhood and became wedged in a narrow, debris-filled space. 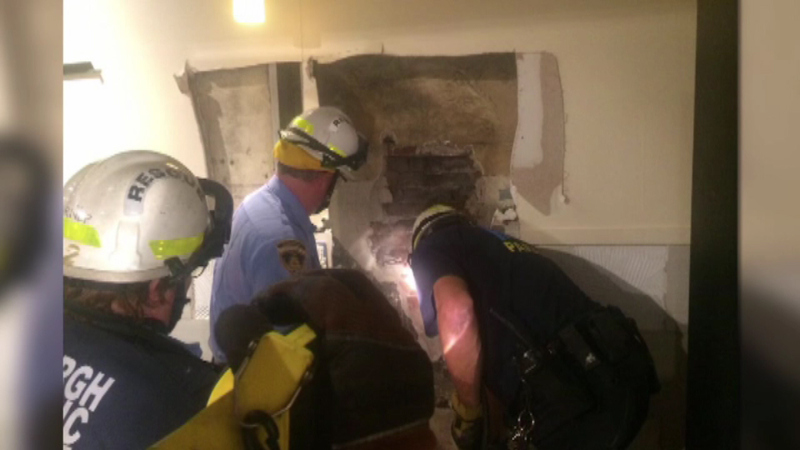 It took rescuers about four hours to free him. 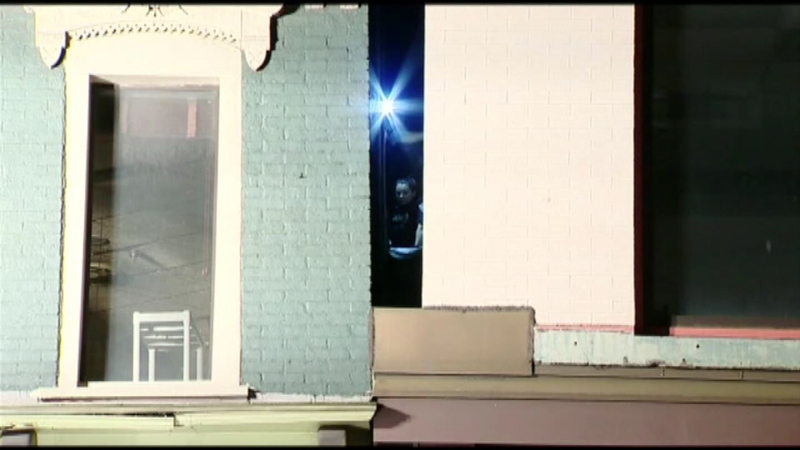 The couple apparently got onto the roof by climbing an exterior fire escape. 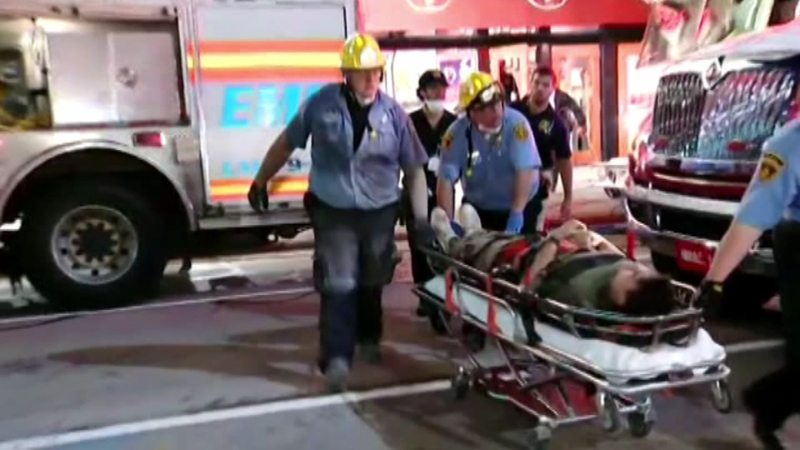 After the man fell, the woman alerted campus police, who called city police. 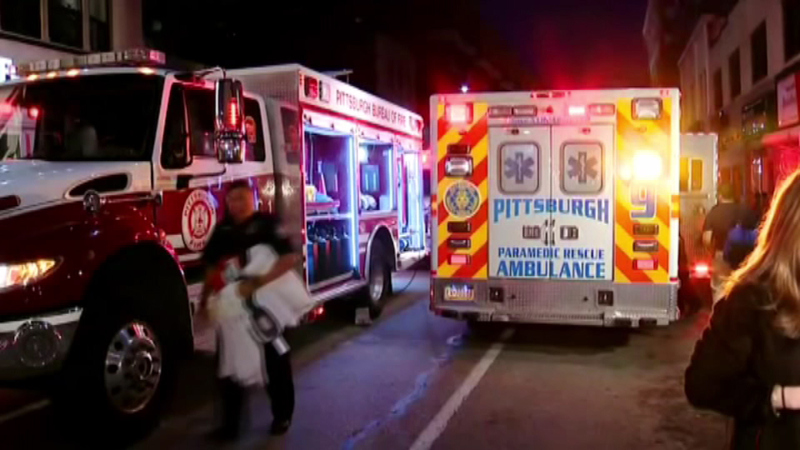 Crews have rescued a man who became trapped between two buildings in Pittsburgh, reportedly after trying to jump from one rooftop to another to impress a woman. 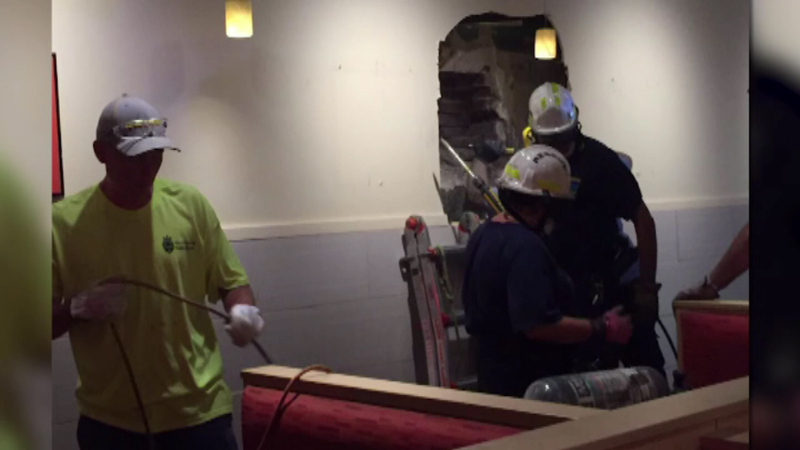 Crews used a jackhammer and other tools to break through a wall from inside a restaurant on the first floor of one of the buildings. A paramedic was lowered on a rope to check on the man before other paramedics led him to safety, said Emily Schaffer, spokeswoman for the Department of Public Safety. 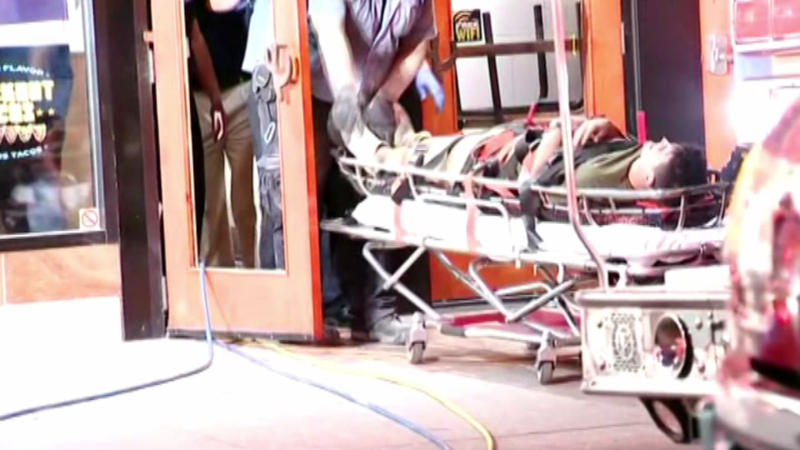 The man was bleeding but conscious, and he waved to TV news cameras signaling he was OK as he was wheeled on a gurney to an ambulance. He broke his ankle in the fall and was being treated at a hospital. 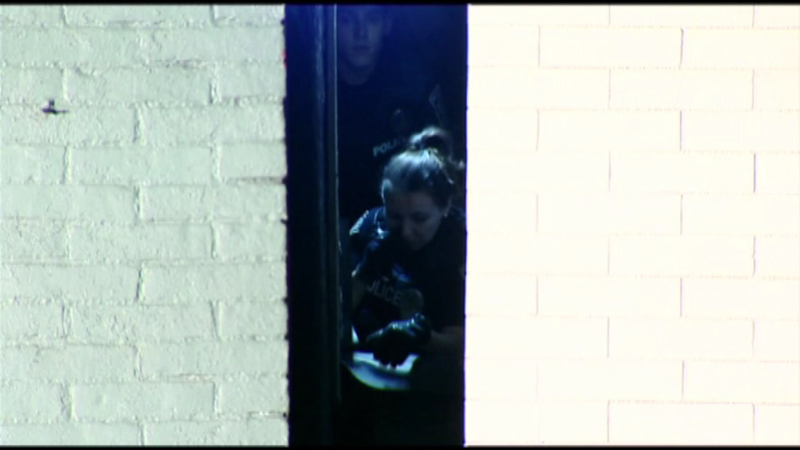 Police were considering whether to file criminal charges and did not immediately release the man's name, Schaffer said. 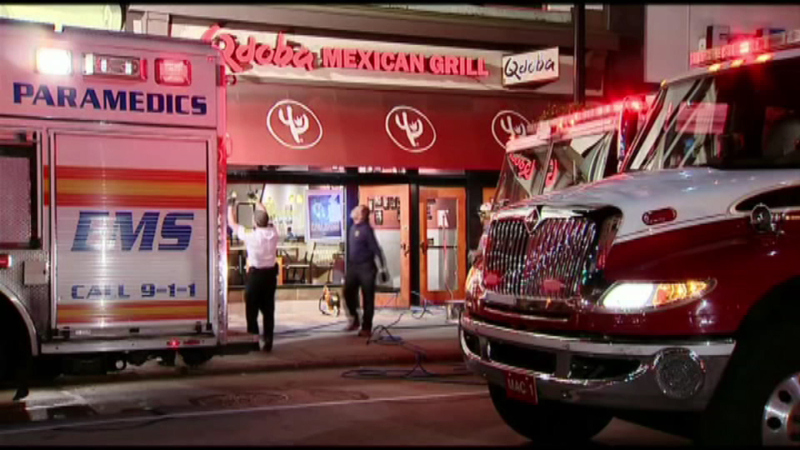 Chad Brooks, the franchisee who owns the Qdoba restaurant whose wall was broken through, said the eatery will probably be closed for a couple of weeks. Pitt students are returning for the fall semester this week, which makes it a busy time for restaurants near the university. 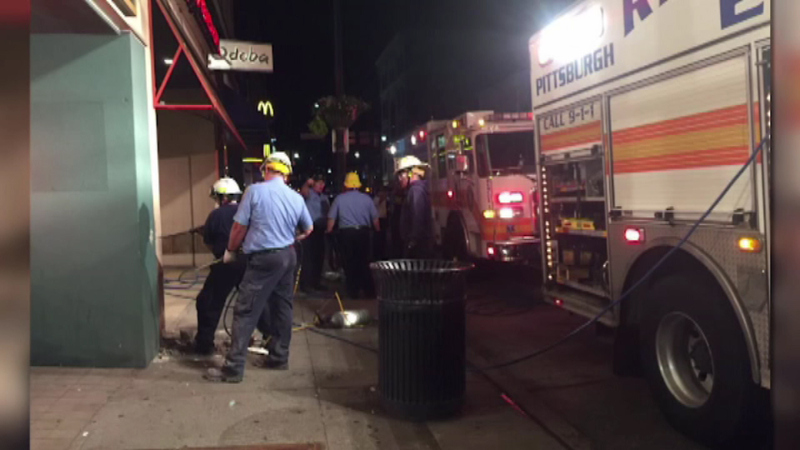 "This is sort of a make-or-break time with the Pitt students returning," Brooks said. "So it's not a good time for us."